The Euro Centrale Mini collection is part of OPI's Spring/Summer collection for 2013 based on the countries of Hungary, Poland, Romania and Czech Republic. The mini collection features 4 polishes presented in a lovely little box with a summery watercolour style illustration by swedish illustrator Stina Perrson. 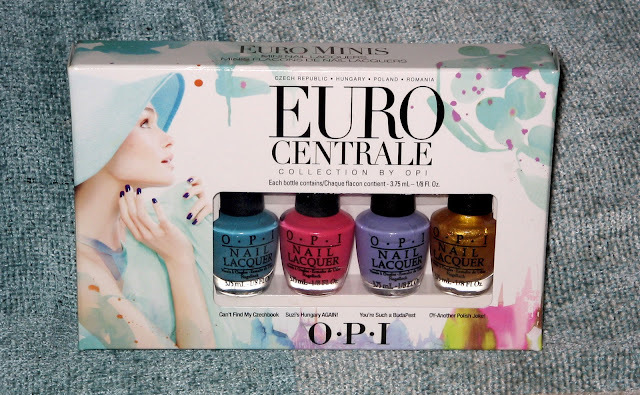 The full Euro Centrale features 12 polishes with OPIs usual quirky names, included in this set is Cant Find My Czechbook, Suzi's Hungary Again!, You're Such a Budapest and Oy- Another Polish Joke. 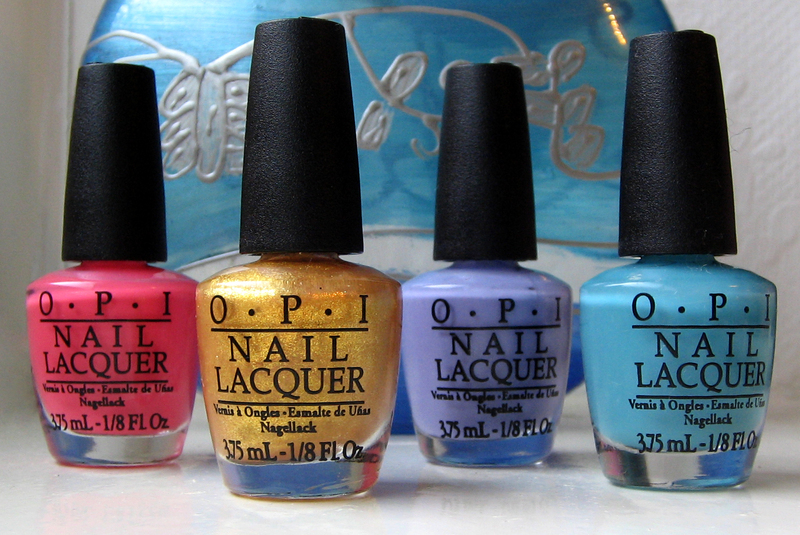 These polishes use OPI's exclusive ProWide brush for ease of application and are DBP, Toulene and Formaldehyde free. I tend to look for polishes without formaldehyde as it is used as a tissue fixative and embalming agent (remember Damien Hirst's shark preserved in formaldehyde?) and the long term effects on the nails and fingers arent clear. I own a few other polishes from OPI, including their Original Nail Envy but unfortunately dont use it regularly enough and my first 3 nails on each hand are thin, bendy and prone to peeling so I need to keep them short to avoid horizontal splitting. Ive used all types of bases, top coats and long wearing formulas but all have chipped or peeled within 24 hours so I was excited to see how these polishes would last on my problem nails. These colours are perfect for spring, in the bottles they look quite muted and pastel-y but on the nails they really increase in vibrancy and dry to a lovely bright finish. Pink, especially bright pink has been my go to nail colour for about 5 years. My favourite colours are Rimmel's Shocker and No7's Pink Grapefruit, so I was fully expecting the pink polish (described on the box as warm and yummy) to be my number one in this set and I was surprised to find a new faouvrite when trying these polishes out. Cant Find My Czechbook- In the bottle this colour looks a pastel blue-green but on the nails transforms to a bright aqua colour that seems to change in the light, sometimes looking like a vivid pale blue and other times like a greeny turquoise. I was surprised to like this colour so much, given my love for pink polishes, but i think it looks gorgeous on the nails and really catches the eye in sunlight. This colour took 3 coats to make it opaque. Youre Such a Budapest- Again this polish looks muted and a pastel colour in the bottle but really comes to life on the nail as a shiny lilac. OPI described this colour as a 'peri-winkle purple' and it has a very very faint amount of silver that is only apparent in the first coat but makes it glisten in the light. All four polishes dried quickly between coats and, again, this colour took 3 layers for opacity. 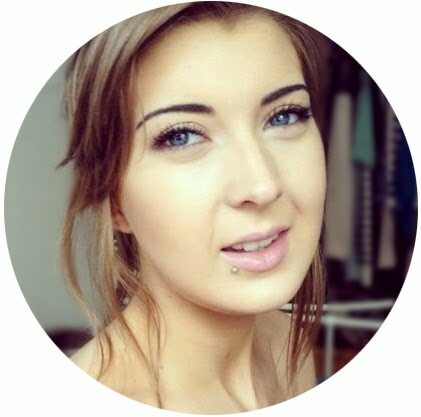 Suzi's Hungary Again! / Oy- Another Polish Joke! Suzi's Hungary Again!- This colour is indeed a warm pink, it's noticeable but quite muted so looks sophisticated rather than garish. This polish also took 3 coats to create an opaque colour. Oy- Another Polish Joke- Im still a big fan of the 'accent nail' trend as you can tell by the stripe of shimmering gold on the ring finger and Oy- Another Polish Joke certainly doesnt disappoint in creating a bright and bold statement. This polish took just 2 coats to stop the pink peeking through and dries to a lovely smooth finish, not scratchy and bumpy like some other glittery polishes. Because of the small size of the shimmer particles this polish quickly builds in opacity despite being the thinnest in formula and gives a beautiful light catching sheen. This polish does look lovely as an all over colour but personally I dont think it matches well with my skin tone so have worn it as an accent over the other colours, and it looks great with each. Overall, I think each of these polishes has its own charm, they are like a new set of staples to add to my sea of pinks and magentas and I'll definitely get wear out of each of them. And for the big question: did they chip? Unfortunately yes they did but no quicker or worse than even the long wearing formulas Ive tried, so I think if you have 'normal' nails these should definitely stay put for a while. The OPI Euro Centrale Mini Collection is available from LookFantastic.com for £13.95 with free UK and Worldwide delivery. Have you tried the Euro Centrale collection, or do you have other OPI favourites? 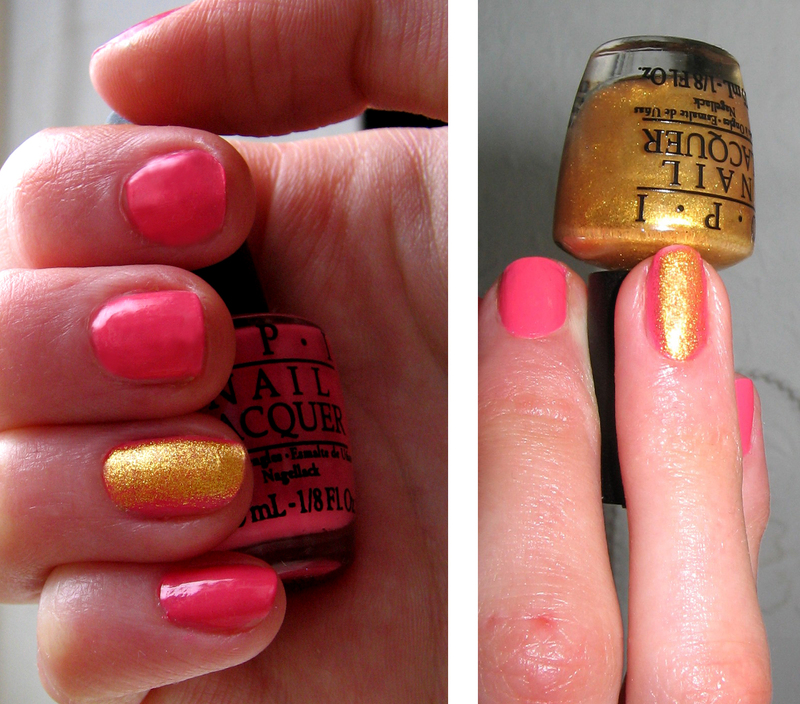 I love the pink with the goldy/yellow! I think they are so beautiful. I have only just realised that I don't own any OPI... Shocking! They do look lovely, would be great for the spring/summer when the sun can catch the nails. That is shocking, treat yourself for an early easter present! haha.